On Bach Rd. at Wallace Rd. 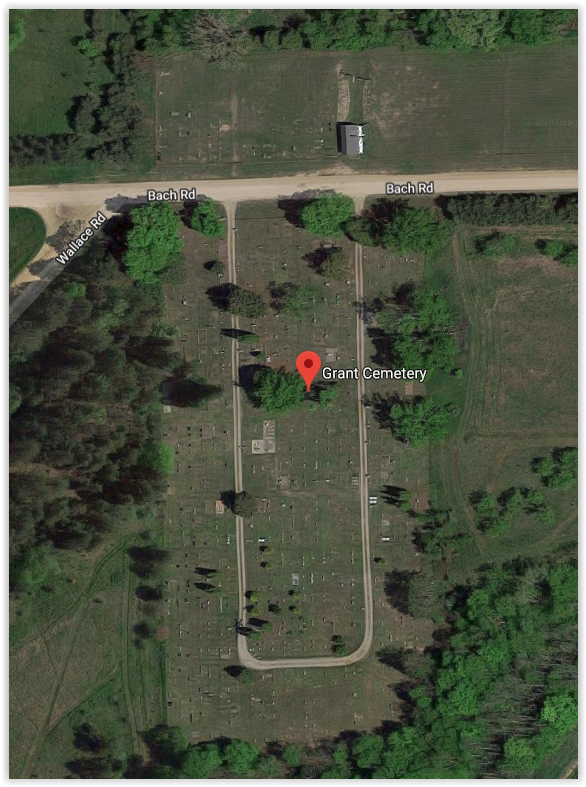 The cemetery is in Grant Township and is near Gagetown (which is in Tuscola Township).